Concept: To generate buzz for Kiss’ Triple Push-Up Lashes they launched a UGC Photo Lab giveaway to get fans sharing how their lashes make them feel. Objectives: Drive engagement and brand affinity by encouraging consumers to upload and personalize content. To generate buzz for Kiss’ Triple Push-Up Lashes, the brands asked its fans to “show and tell” how their eyelashes make them, whether it be "bold, glamorous, unique, or confident." 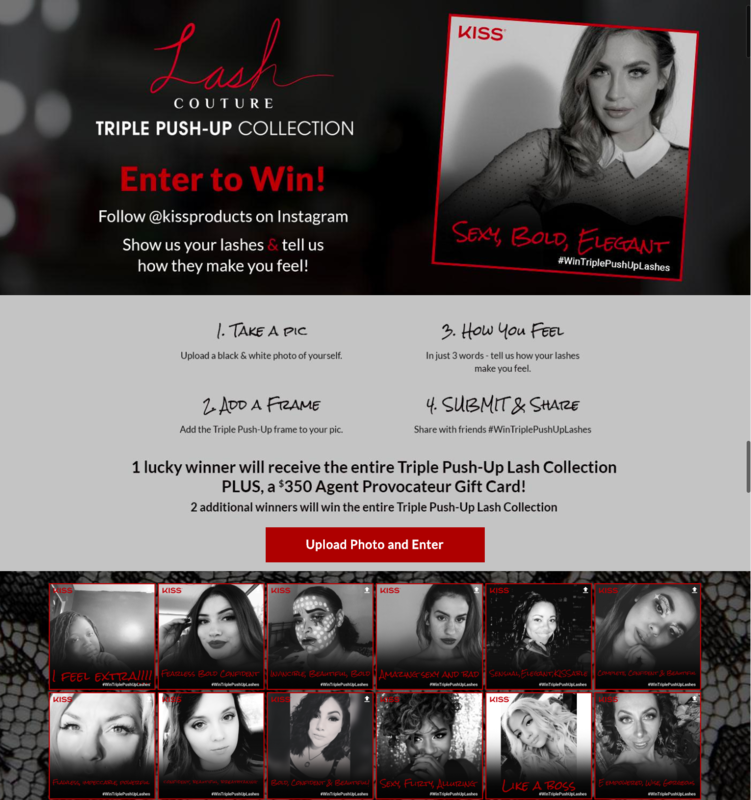 After uploading and customizing their selfies, fans could then share their photos to social media using #wintriplepushuplashes for the chance to win the entire Kiss’ push-up lash collection and a gift card. The end result is a fiercely bold UGC campaign that would make any marketer bat their eyelashes a few times. Check out Kiss’ campaign here. Kiss’ built a campaign rooted in engagement and sharing by embedding their UGC gallery and Photo Lab on their website, and by requiring fans to share their photo for the chance to win. Make your giveaway evergreen. Once a campaign ends and the prize is given away, a savvy way to keep engagement up on a successful campaign is to make your UGC campaign evergreen. Remove the language referring to the sweepstakes portion of the campaign and add in an evergreen call to action so consumers can continue creating with your brand to provide amazing, reusable UGC. Embed on site. Kiss’ promoted their Triple Push-Up lashes and kept consumers on site by embedding the campaign into their homepage. 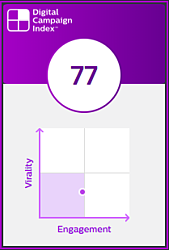 For brands with a product, using the Wyng Sampling Use Case, any brand can easily promote their products and have consumers easily sign up to receive a sample or navigate them to a full product page to buy. Frame up your campaign. Kiss’ used frames that included their branding and also the campaign hashtag, increasing the likelihood that anyone who saw the pictures on social would also know about the giveaway and participate. Let your consumers do the creating and sharing. Kiss’ didn’t need to produce expensive new content or hire models to promote their last products, instead, the brand turned to their consumers who are already online creating, sharing and acting as unofficial brand ambassadors every time they snap a photo or upload a video.